Add an excess of storage space to any room in your house. 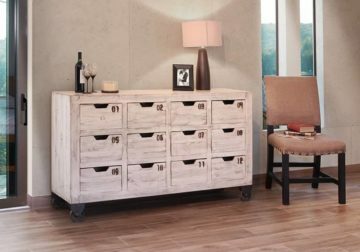 Perfect for displaying pictures and storing anything you need to put away, the twelve numbered drawers in this console will allow you to easily stow away anything from photo albums to your movie collection. 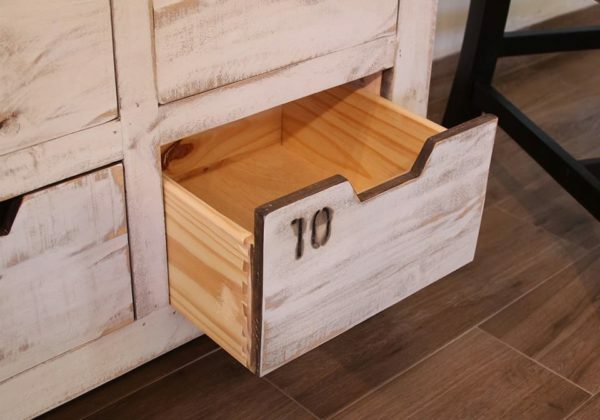 Casters on the bottom of the piece allow for easy movement of the piece. The rustic weathered look of the piece gives it a lived in charm that will make the perfect finishing touch to your home.